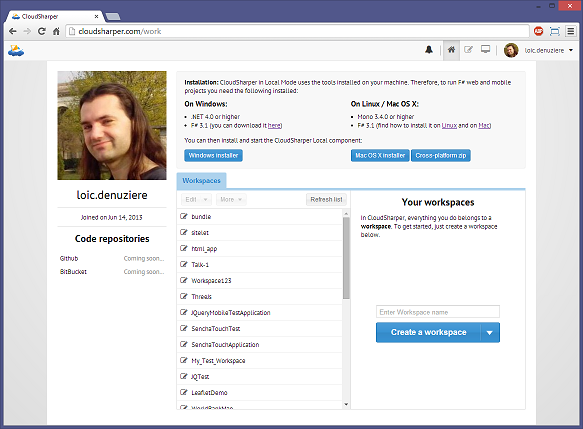 A reworked dashboard, replacing both the old "Go to CloudSharper" page and the workspace list window with a streamlined page containing all the information you need. A redesign of the left panel of the workspace view. Instead of the file system tree, now a logical solution/project tree is the default view. 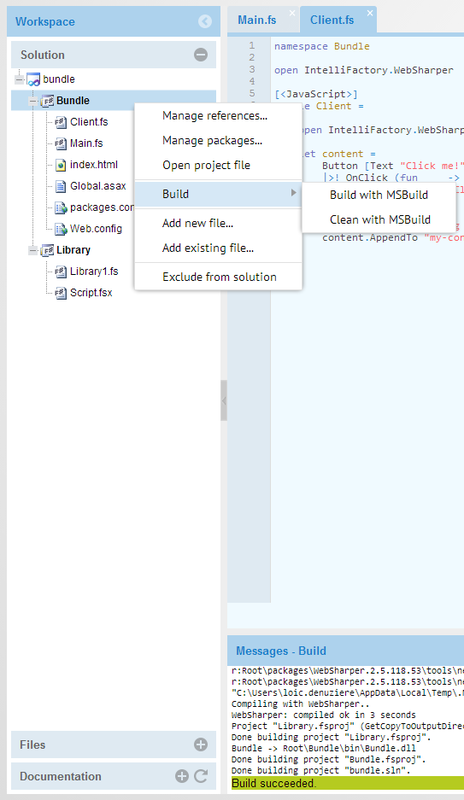 All functionality related to project handling has been moved to the context menus here: adding references, managing NuGet packages, building and cleaning; managing the list of files compiled or included in a project has been implemented. Note that file create, rename and delete are still available in the Files panel, but do not affect the list of files included in the project. #402: Show a VS-like project list. #411: Alert the user about changes to open files. #422: Sort available deployment options. Replace "No local component" error window with a flash on the dashboard. Use Gravatar to retrieve the user's picture.